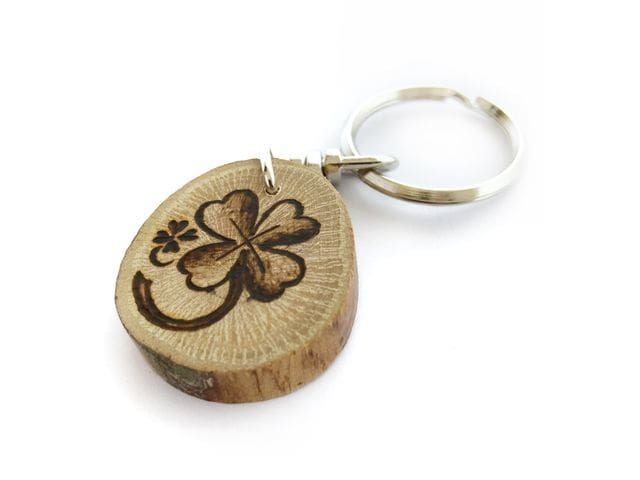 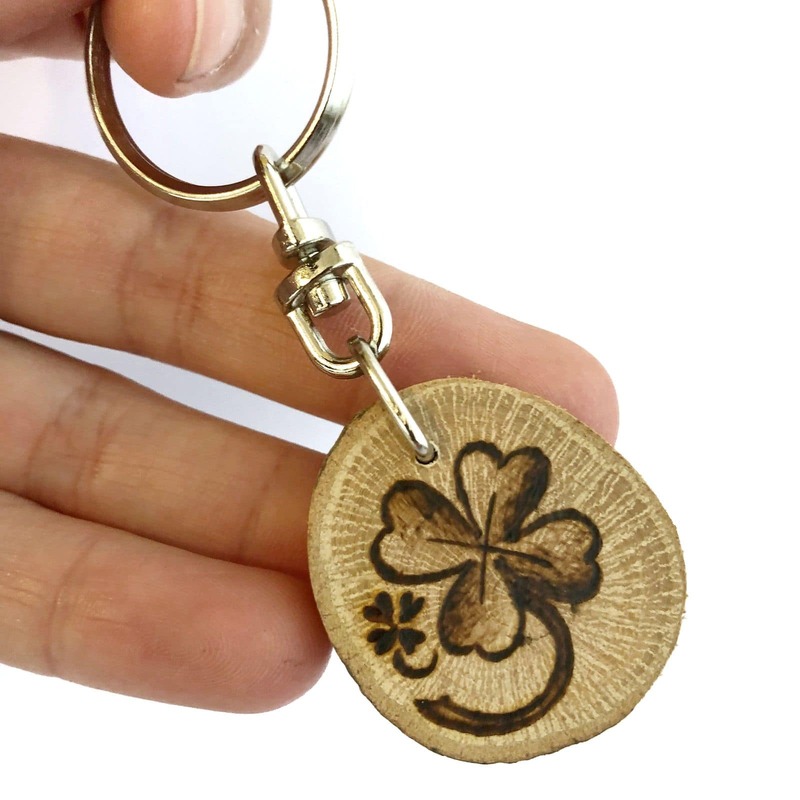 Keep in mind that the keychain that you receive at home may be slightly different from the images displayed, since they are pyrographed by hand one by one, so each keychain is unique. 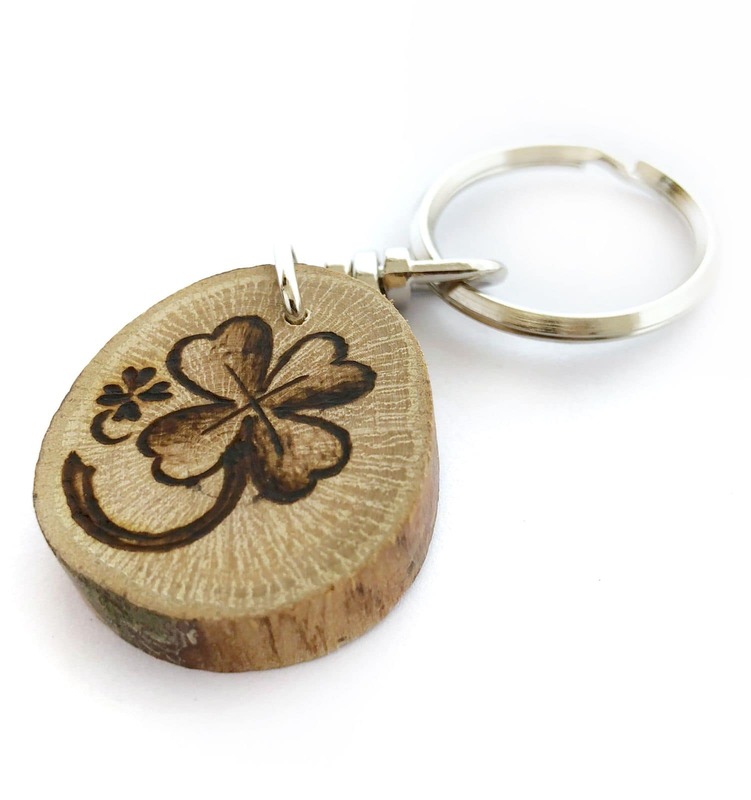 Also the shape and size of the slice may vary, because in nature there are no 2 equal branches. 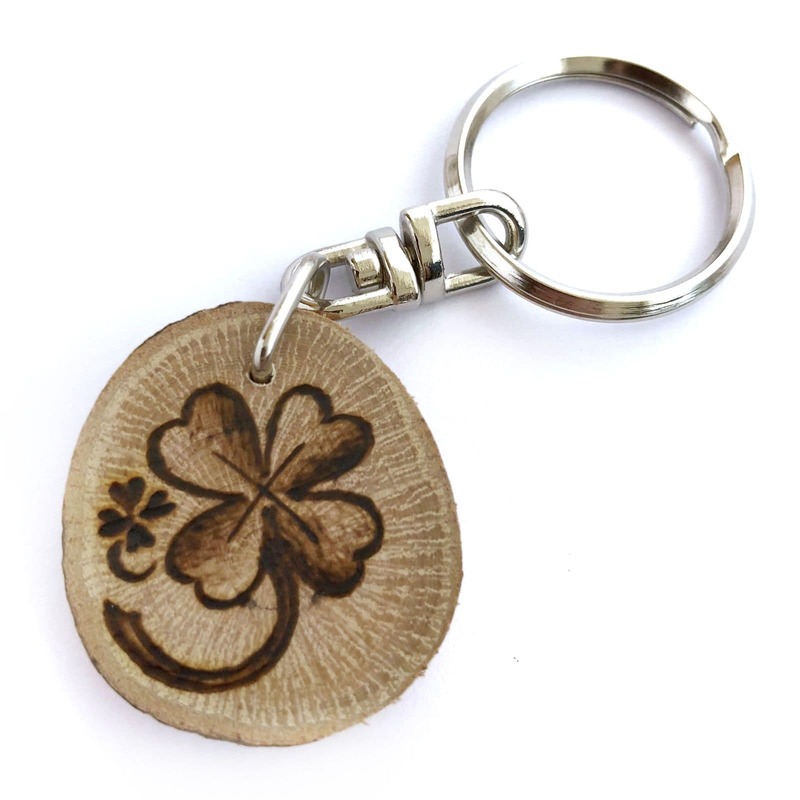 Keychain with NAME and CLOVER design.